The Locke family has been put through the ringer, but at long last they can rest. The creature named Dodge has been destroyed along with Keyhouse. Now what do they do to pick up the pieces? After everything they've been through, how can they go on? Especially since they all didn't make it through this latest ordeal. This is where the final issue of Locke & Key:Alpha starts. You're probably going to want to get those tissues handy because there's going to be some tears. Being along for the ride with the Locke children has been a roller coaster. They've made some stupid mistakes because they're teenagers and that's what teenagers do, however throughout the entire experience, they've felt like family, so these things were forgiven. 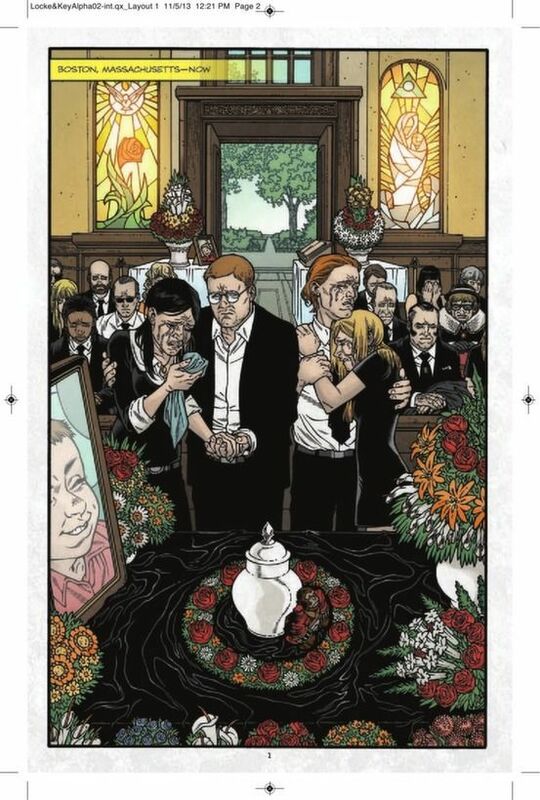 It's this reason that makes the opening funeral scene so hard to read because it feels like someone close to me has passed away. That's a testament to Joe Hill's writing. This comic ties up all of the loose ends that were left after the first issue of Alpha. There was so much packed into that previous chapter that I wasn't sure what else that the creators would be able to provide. In many ways, this is the epilogue to the series. It wraps up everything in a nice little bow. I wish that we were all departing for summer vacation instead of saying goodbye forever, though. 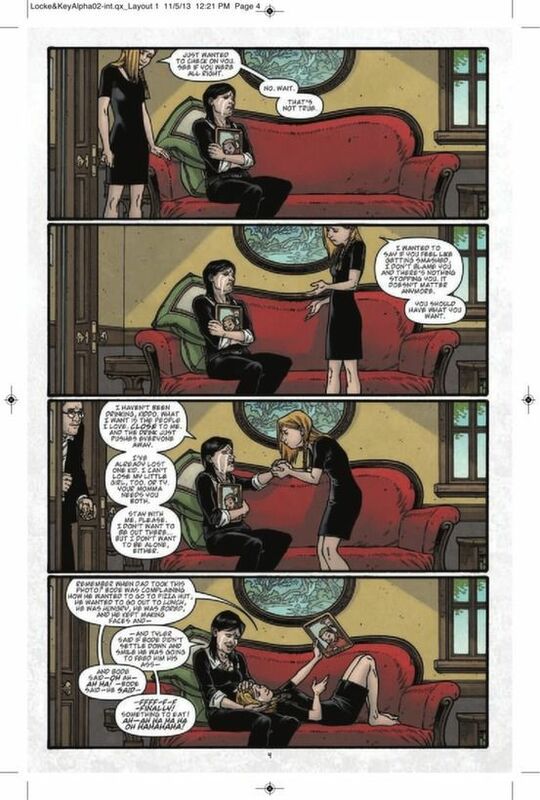 Hill closes the door on some minor characters in some perfect ways. Remember those tears I told you about? Just wait until you get to the second funeral scene. Goddamn. I'll never hear “Anarchy in the UK” the same way again. These were not members of the Locke family, but they were given the kind of tribute that Spider-Man or Superman would have if they were to die again. The Locke children, specifically Tyler, are given the closure that they've been desperately seeking since the series began. Tyler uses a variety of keys, including his own, to put Keyhouse to rest once and for all. 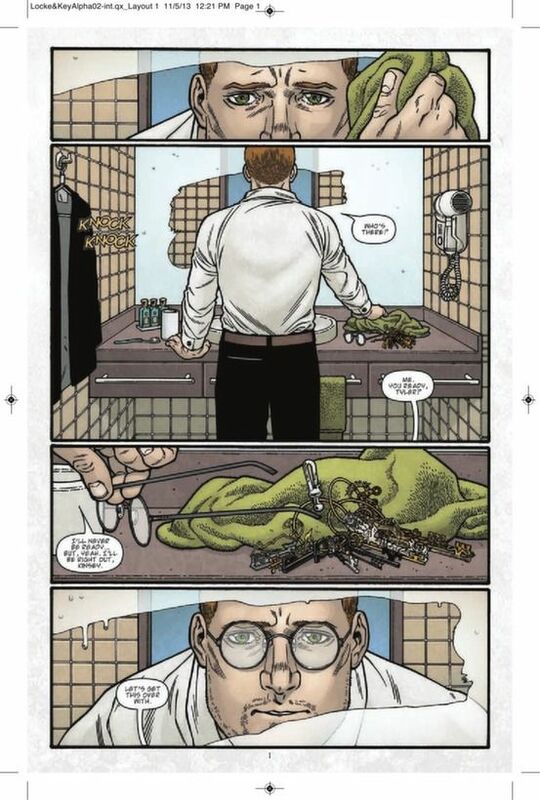 He's able to come to terms with the death of his father that opened the first issue of Locke & Key, and really get a look at the man that he's become. 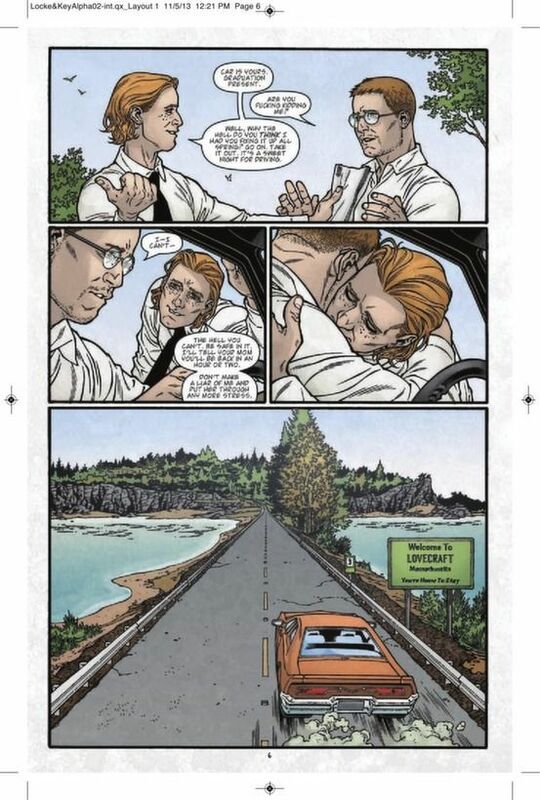 Gabriel Rodriguez packs so much heart into every single panel of Locke & Key: Alpha. There are whole pages without a lick of dialogue as he's able to convey a ton of emotion with his images. 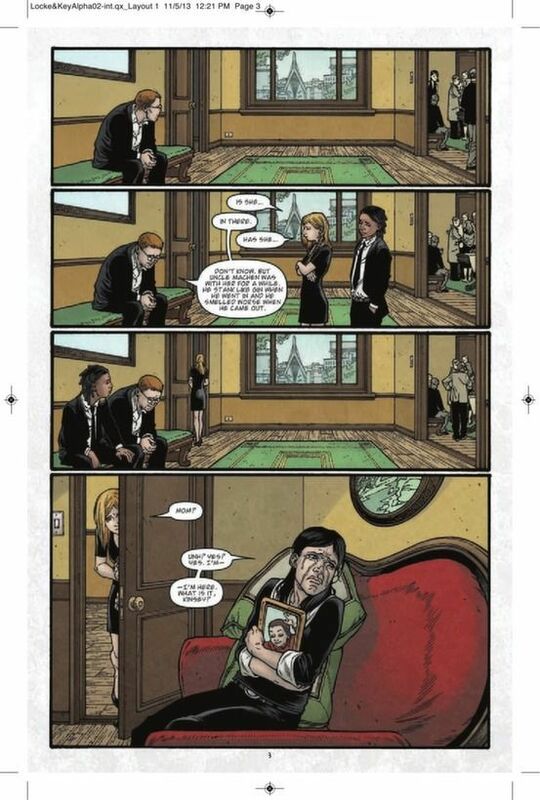 If Hill's words don't get you teary-eyed, the last two pages of Rodriguez's art will. There's also an undeniable comfort to his art that works hand-in-hand with Hill's writing to make these characters feel so familiar. You would expect to run into Kinsey at the next family gathering because you're just that close to them. 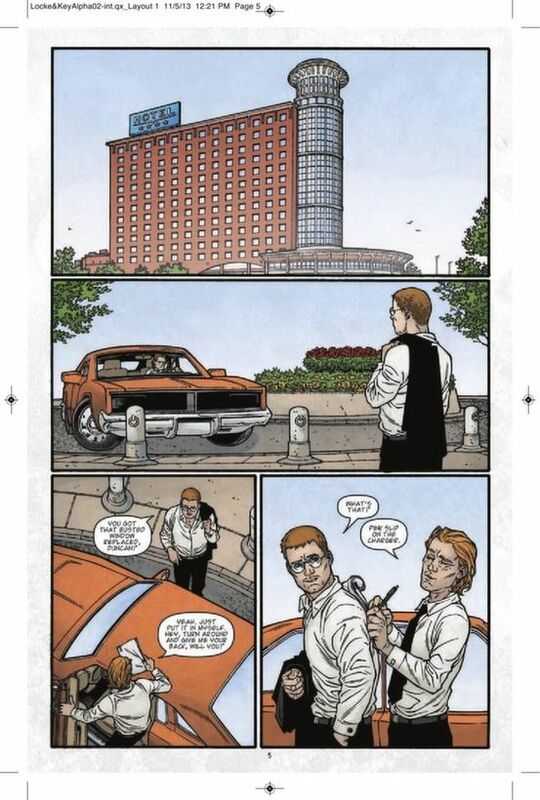 Locke & Key: Alpha is the perfect kind of closer to a comic. It's something that's rarely seen in the industry today as we're faced with numerous reboots and relaunches, forcing characters to go on and on. The series has a beginning, middle, and one helluva an end. It makes you want to pick up the very first issue and read them all over again right after you put this one down. It's emotional. It tugs at the heartstrings. It's damn near perfect.